2017 New Year’s Day 5K and Family Race Results! The Swarthmore Recreation Association held another successful New Year’s Day 5K and kids’ runs on Jan. 1, 2017. 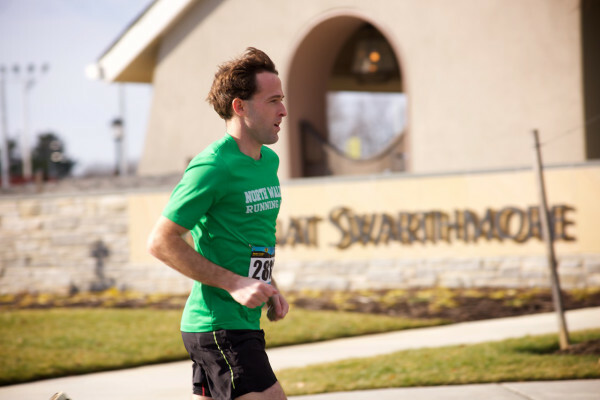 On a beautiful, sunny Sunday with 45-degree temperatures, the 5K attracted 206 finishers, with dozens more children participating in the kids’ runs on the Swarthmore College track. The winning 5K time of 16:59 went to Kevin Donnelly, and the first seven finishers, including women’s winner Jenn Cronin (18:09), all ran sub-6:00 miles. Swarthmore-based photographer Andy Shelter again took hundreds of amazing photos at the race. They are available for viewing and downloading at Andy’s website. Have a wonderful year. See you Jan. 1, 2018!